The average condo price was up by 24% as compared to September 2016. In actual numbers, the average sale price paid for a condo last September was $446,000. The average price this September was $540,000. While the market for detached homes is still recovering, the condo market is hotter than ever. Despite the number of units being built, the condo market remains strong and seems to be growing exponentially. I still get calls from people that think it’s a buyer’s market and they think they’re going to get a deal – but the market has rebounded a lot faster than people thought it would from the summer. The average price being paid for a detached home in the 416 is now $1.35M. This time last year, it was $1.29M. Not a huge increase year over year, but this means there are no bargains to be had. I’m working with one buyer right now who has put in several bids on condos only to find that someone else’s bid has blown hers out of the water with an offer price way above the recent sales. For instance, we put in an offer earlier this month on a condo. A similar unit sold for $530,000 a little over a month ago and then the suite she bid on sold for $578,000. That’s a 10% increase in one month. Of course, it doesn’t mean it necessarily sold at fair market value, but there were 5 offers on it and clearly somebody really wanted it. The same client put a bid in on a unit in the Distillery District. It was listed at $405,000 but it sold for $565,000 and the condo was only 532 square feet! All identical units were selling for the high $300,000s last year. Surprisingly, the norm for almost anywhere these days is almost $1000 per square foot, sometimes more (especially as you get closer to the subway lines), which previously we’d had only seen in Yorkville or random luxury buildings. We’re still seeing bully offers, otherwise know as pre-emptive bids, being submitted on homes in the downtown market… and even for homes without offer dates being set, I’m not seeing much a reduction in list price, if any, when sale prices are disclosed on MLS. While the market isn’t as frenzied as it was this spring, I’m still seeing multiple offer situations, although now a seller may see three offers rather than nine on offer night. And some neighbourhoods, like Leslieville, are still hot. Recently a house down in the Greenwood and Queen East area was listed for $899,000 sold for over $1.2M. I’m at a bit of a loss as to why the buyers haven’t returned to the market. Those who are waiting until prices go down are going to be priced out of the market. For instance, if a buyer was ready to go last year but hesitated, what cost $405K last year cost $540 this year, so even if you only had a 5% down payment, you’ll need another $5K just for the down payment. 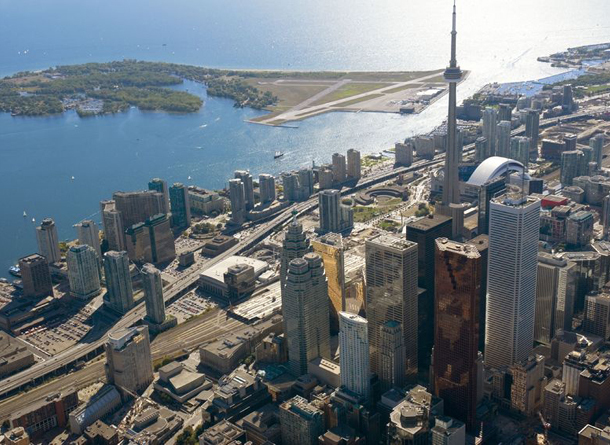 The only certain thing is that home prices in Toronto continue to rise, so I would certainly encourage anybody sitting on the sidelines to give me a call and find out if now is a good time to buy.